Gaining root access on a device is a matter of concern, as it grants attackers access to admin level capabilities, allowing them to turn your device against you to snap your pictures, and snoop on your personal data including accounts’ passwords, emails, messages and photos. The company’s own website notes that Qualcomm Snapdragon SoCs (systems on a chip) power more than a Billion smart devices, including many Internet of Things (IoTs) as of today. Thus, the issue puts many people at risk of being attacked. Although Google has pushed out updates after Trend Micro privately reported the issues that now prevents attackers from gaining root access with a specially crafted app, users will not be getting updates anytime soon. "Smartphones aren't the only problem here," said Trend's Noah Gamer. "Qualcomm also sells their SoCs to vendors producing devices considered part of the Internet of Things, meaning these gadgets are just as at risk." "If IoT is going to be as widespread as many experts predict, there needs to be some sort of system in place ensuring these devices are safe for public use. Security updates are an absolute necessity these days, and users of these connected devices need to know what they're dealing with." Whatever be the reason: if security patches are not available for your device model or take too long to arrive, in both the cases it gives miscreants time to exploit the security holes to gain control of your device. However, some users are lucky to choose Google’s handsets that get their patches direct from the tech giant automatically, making them safe from the vulnerabilities. The handsets include Nexus 5X, Nexus 6P, Nexus 6, Nexus 5, Nexus 4, Nexus 7, Nexus 9, and Nexus 10. 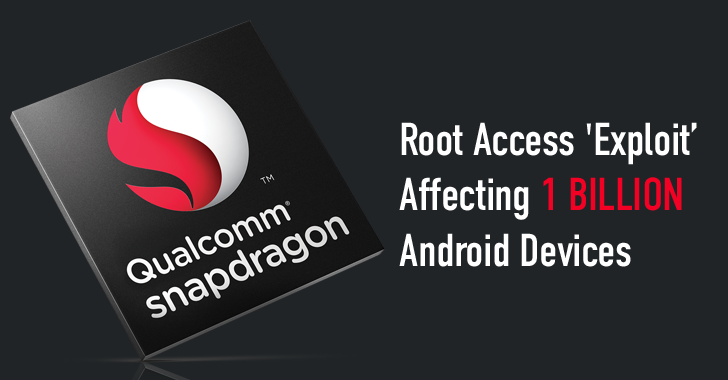 All of the smart devices using the Qualcomm Snapdragon 800 series, including the 800, 805 and 810 and running a 3.10-version kernel are affected by the vulnerabilities. The vulnerable code is present in Android version 4 to version 6. In the tests, researchers found Nexus 5, 6 and 6P, and Samsung Galaxy Note Edge using vulnerable versions of Qualy's code. Though the researchers do not have access to every Android handset and tablet to test, the list of vulnerable devices is non-exhaustive.